Jennifer Kalika received her Master’s Degree in Viola Performance and Music Education at the Eastman School of Music in Rochester, NY. She studied baroque playing styles with Christel Thielmann and Paul O’Dette while performing in the Eastman Collegium Baroque Orchestra. 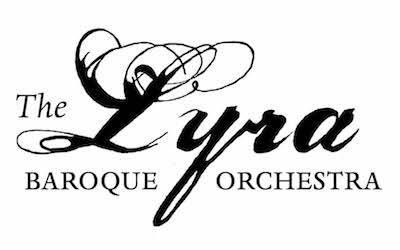 While residing in Rochester, NY, she performed professionally in Aire de Cour, a baroque chamber ensemble. Jennifer enjoys playing modern and baroque viola as a freelance musician in the Twin Cities. A versatile player who has appeared locally with Lyra Baroque Orchestra, Vocalessence, Minnesota Dance Theater, Chanhassen Dinner Theatre, and the Guthrie Theatre, she has performed and taught abroad in festivals in Heidelberg, Germany and Spoleto, Italy, as well as in the United States in New York City, Reston, Virginia, Lexington, Kentucky, and Long Island, New York. She has performed with many entertainers, including Marvin Hamlisch, Dudley Moore, Liza Minelli, Connie Francis, Tony Bennett, Steven Mackey, Anne Murray, Reba McEntire, John Rich, The Libera Boy Choir, Mannheim Steam Roller, Jackie Evancho, and Celtic Thunder. Jennifer has taught viola and string music education at Houghton College, and has taught public school on Long Island and in Penfield, NY. She is presently teacher of string instruments at the Blake School in Wayzata, MN.